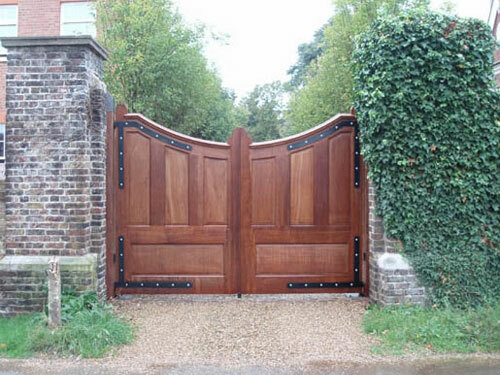 Gates, Jameson Joinery is a gates manufacturer company for corporate or private clients in the UK Sussex including London, Horsham and all the other surrounding areas. 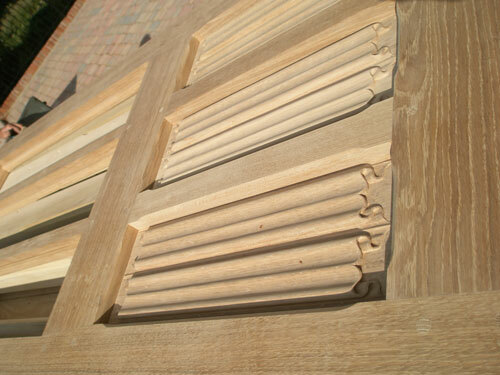 Example of 100 mm thick half panelled oak gates hinged on oak glad steel box section posts. 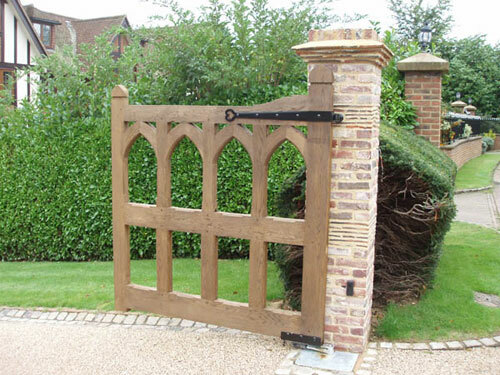 Delicate Victorian design of hooped spindle oak gate. 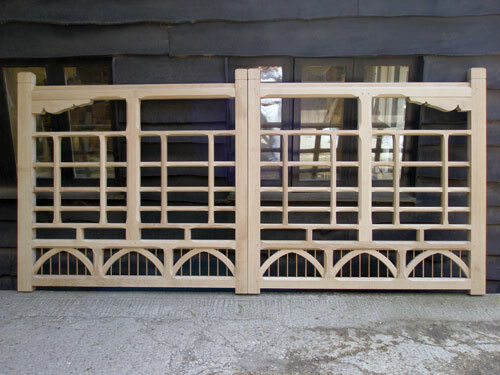 Iroko lattice gates with bolection moulded oval panels. 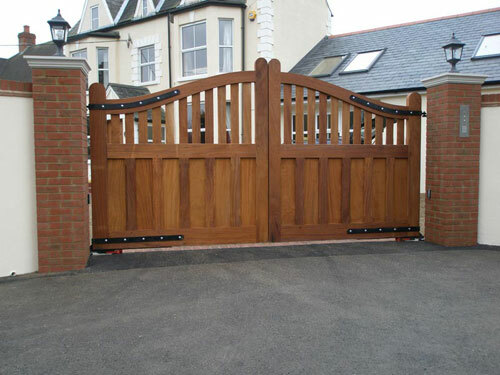 Iroko bow-topped fully panelled gates. 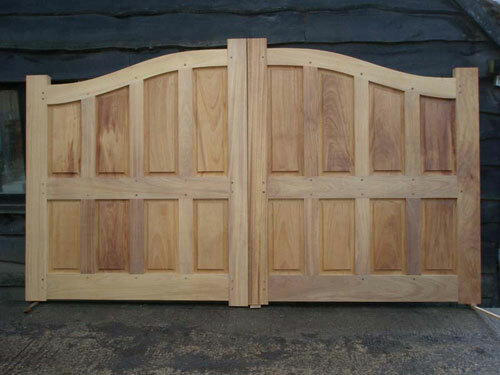 Half panelled bow top Iroko gates. 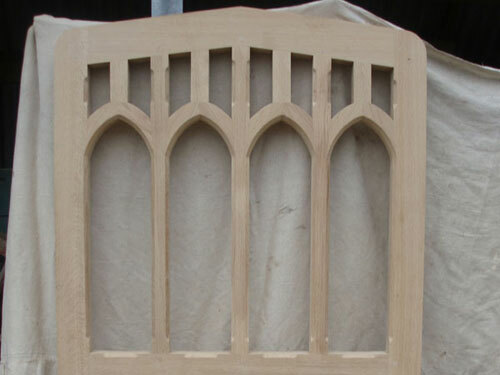 Gothic arched oak lattice gates. 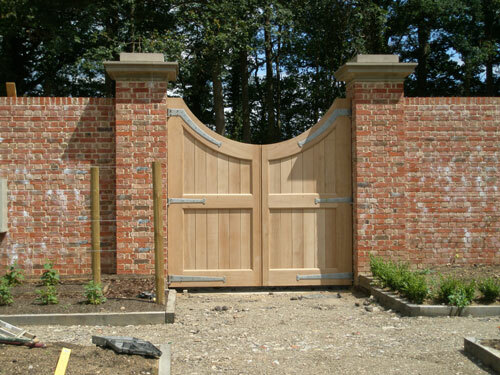 Fully panelled curved top gates with moulded capping. 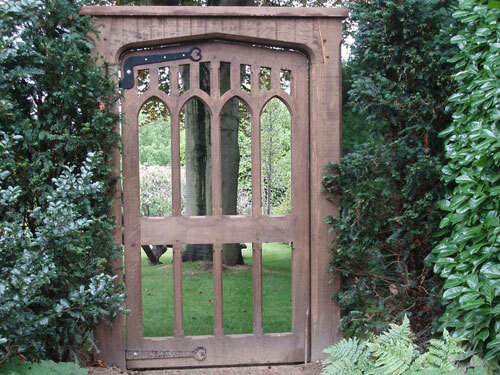 Gothic arched oak garden gate. 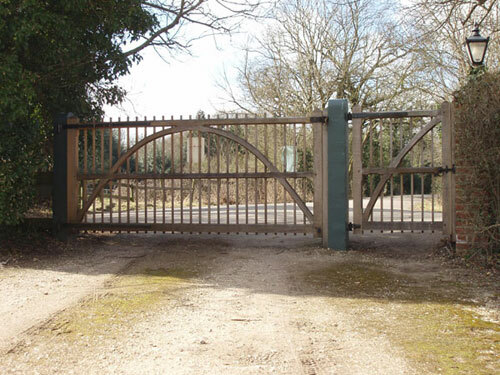 Detail of bronze "dog bars" fitted to a Rectory gate. 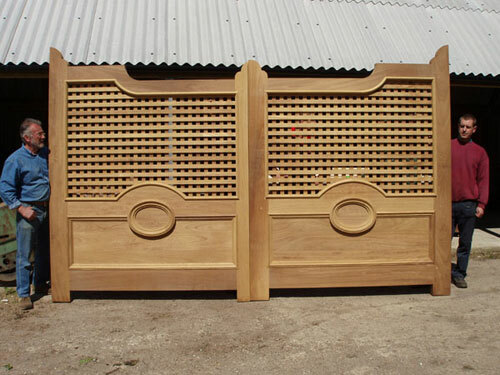 Iroko panelled gates with horizontal and vertical grained panels. 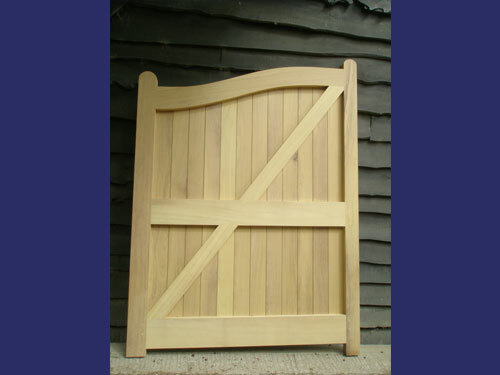 Oak garden gate and capped frame. 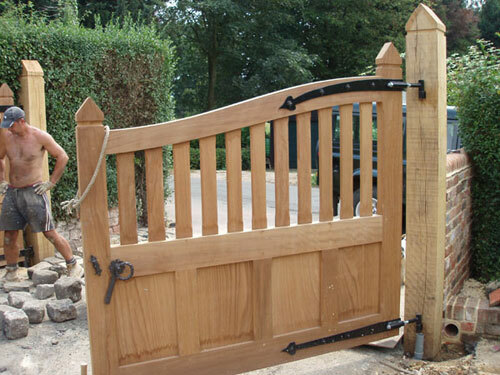 100 mm thick swallow top boarded oak kitchen garden gates with galvanised hinges. 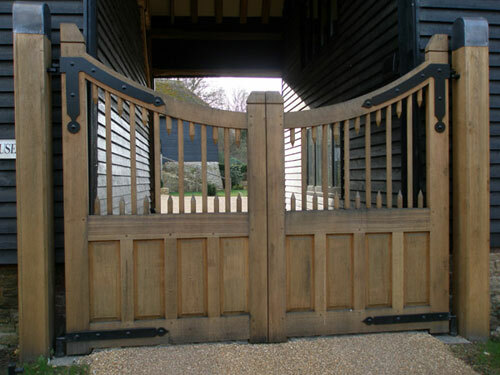 Hand fitting bronze "dog bars" to curved braces of a "Rectory" gate. 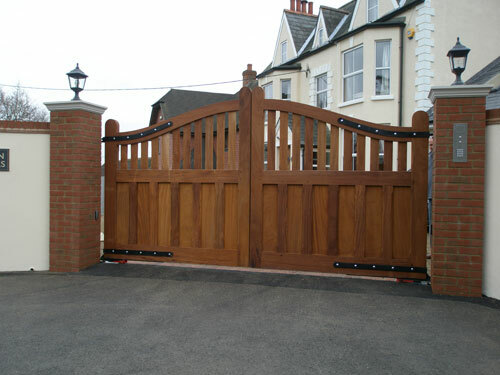 Completed set of Oak Rectory gates. 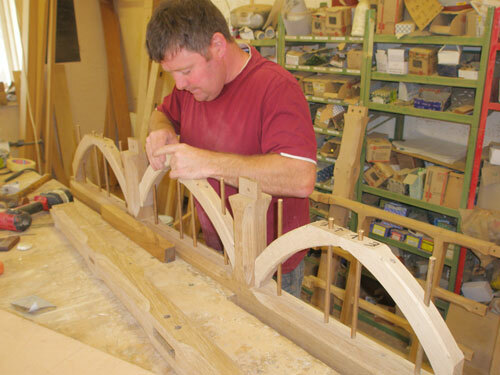 Fitting half panelled Iroko gates to oak posts with adjustable hinges. 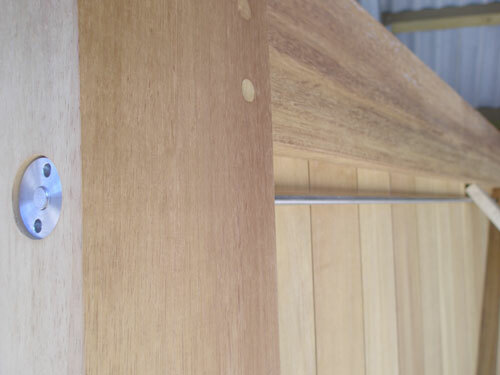 Detail showing internal stainless steel tie rods used in our wider gate construction. 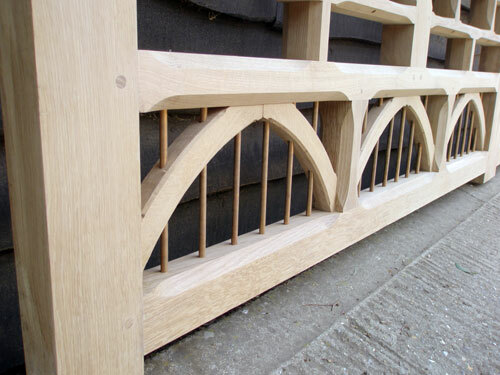 Framed and braced bow top gate. 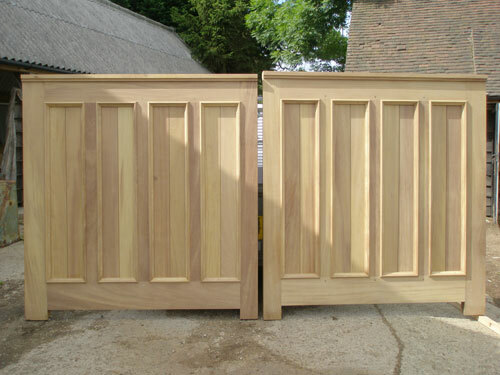 Half panelled and splat bow top Iroko gates. 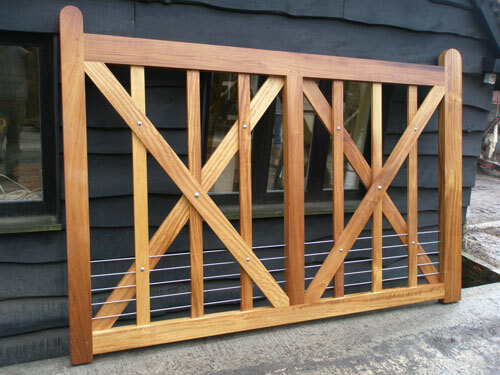 Deer gate fitted with stainless steel "dog bars". 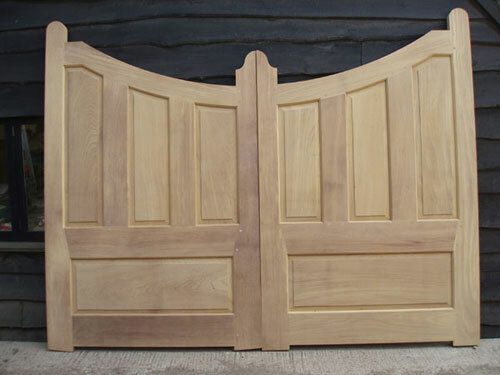 Flat topped Iroko gates fitted with weathered cappings and Bolection mouldings to the panels. 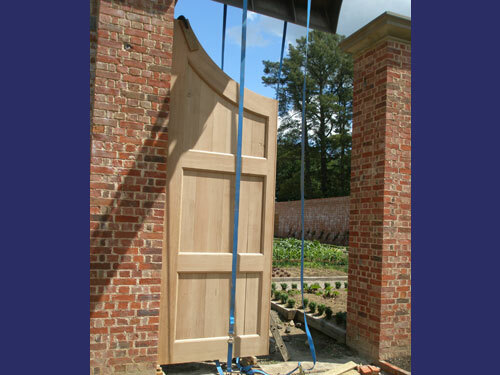 Installing 12 foot high 4" thick kitchen garden oak gates, weighing over half a tonne.